BBQ is a tradition meal for Memorial Day. I was serving wings and a variety of salads. A fruit salad seemed the right dessert to go with this meal. 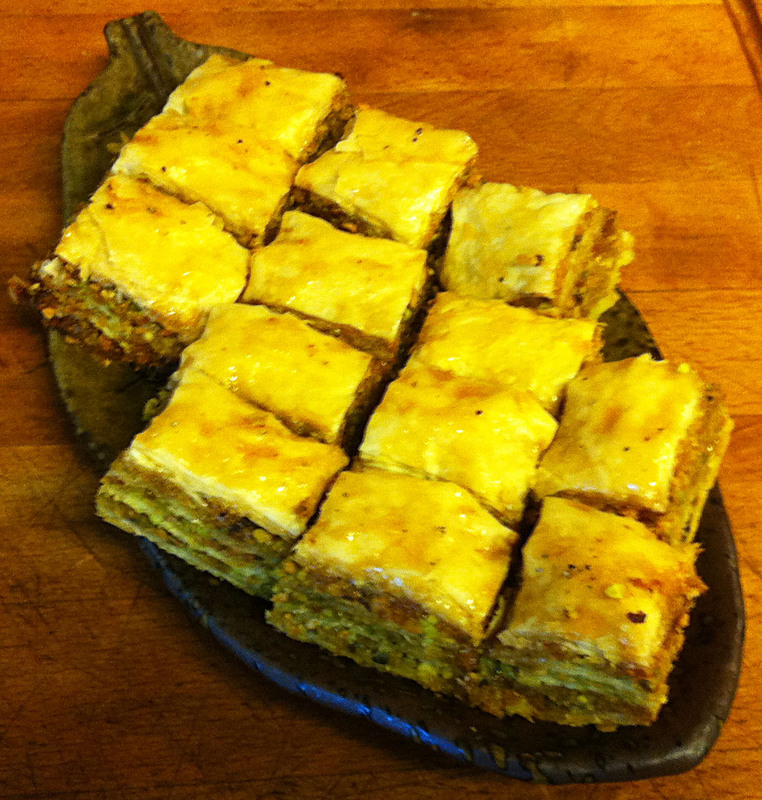 I am allergic to walnuts, so I cannot eat regular baklava. Jan decided that she would make pistachio baklava as the desert to go with the Middle Eastern feast I am making for Mother’s day. 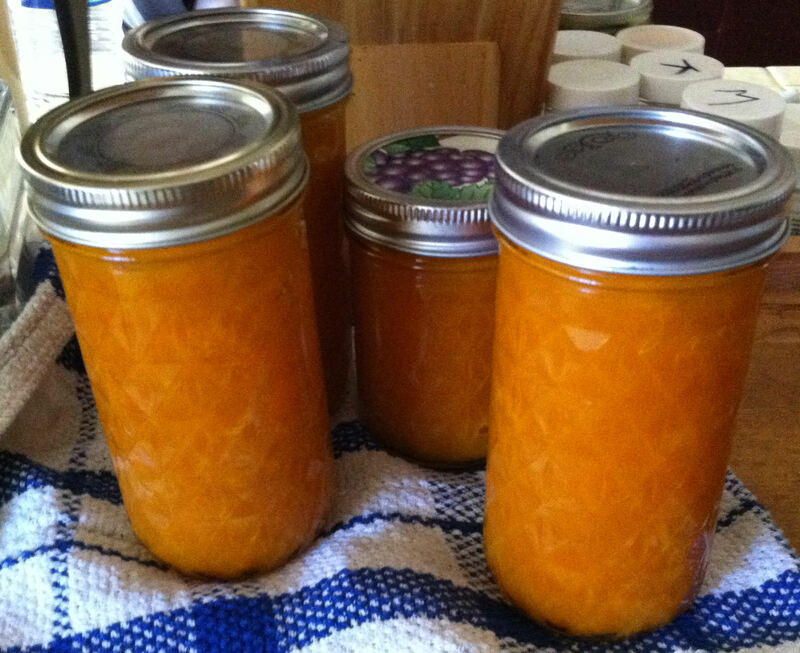 My neighbors know that I make jam. As a result, they occasionally show up on my door step with boxes of fruit. They buy more then they eat and then give it to me before it goes bad. Yesterday it was apricots. 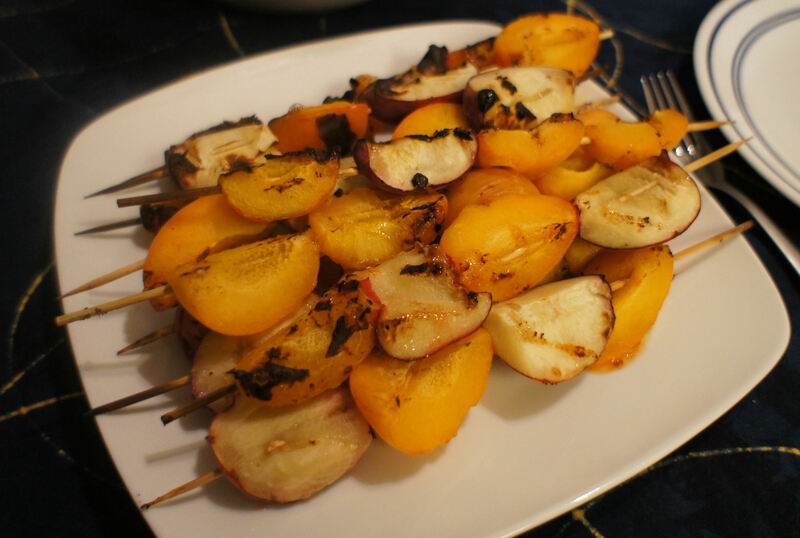 Jan saw a bunch of fruit at the farmer’s market and thought, “What goes with lamb skewers? Fruit skewers!” Some of the fruit was not quite ripe and I suggested that since I would already have the grill going we could throw them on. Jan thought this was a good idea.